My January ornament finish is another design from Little House Needleworks' Hometown Holidays series called "Grandma's House." Well, Grandma, like me, loves the color blue, so I just had to change the accents to blue on the windows, her dress, and the front door. I chose this shade of blue to coordinate with the pretty blue Woolies Flannel that I used for the finish. I love the way it turned out and I think Grandma would approve, too. Would you like to see a photo of all I've done in the series so far? Here are The Needlework Shop, Main Street Station, and the one that started my infatuation with this series, The Tree Lot. You can click on each shop name to find out the details on the finishes if you are interested. They are all stitched "over one" on 28 ct. black Monaco with a combination of overdyed threads and DMC. Will I be stitching more? That would be a resounding.. YES! I absolutely love how these are turning out! Thank you for all of your compliments on the Christmas gifts that I shared with you in my last post. I have three more that I want to show you: two that I've stitched before and another "new-to-me" stitch. To Robin, in Virginia, went this handsome green-robed Santa from Prairie Schooler's Book No. 43 "Father Christmas." He is stitched on 40 ct. raw natural Newcastle linen with the suggested threads. Once again, I added "snow" in the form of small white beads and finished him as an oval. This is one I don't have on my tree yet, so I'm sure you'll be seeing him again! To Liz, in Idaho, went another Prairie Schooler from Book No. 190 "Happy Christmas." If this looks familiar, it's because I stitched it as a gift in 2016, too! Still none to hang on my own tree--I keep giving these away for some reason... It is stitched on 32 ct. black Belfast linen with the suggested DMC threads. I did change Santa's boots and gloves to DMC 844, however. Don't you love the white checkered path through the snow on this one? Rumor has it that Santa is now living very happily at his new home in the Pacific Northwest! To my oldest son and dear daughter-in-law went this sweet ornament (which I previously stitched for myself in 2017). 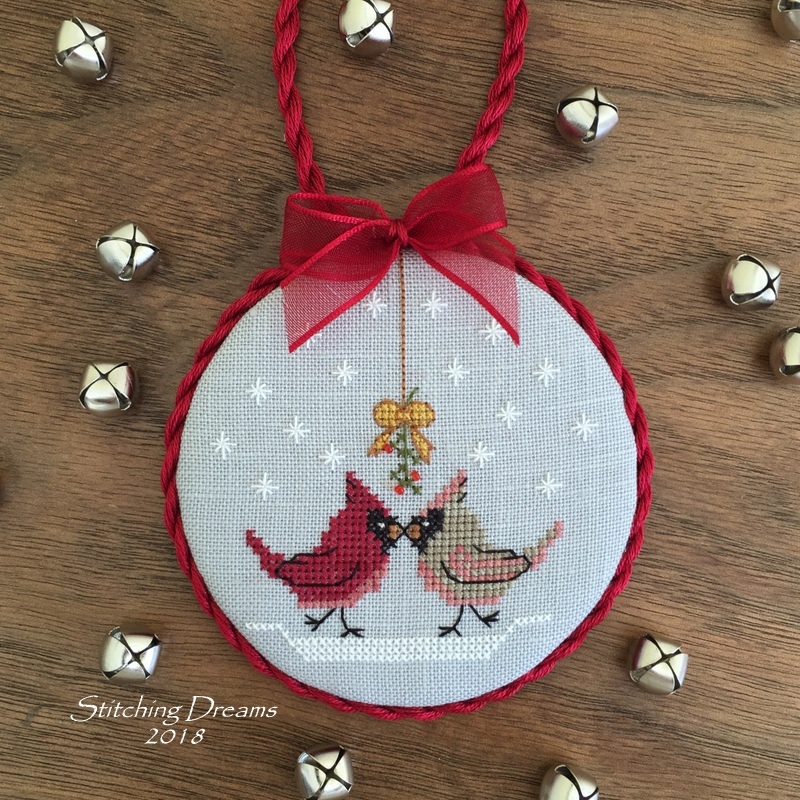 This is called "Kissing Cardinals" and the chart can be found in the 2014 Just Cross Stitch Ornament issue. I used 40 ct. pearl gray linen and a variety of overdyed threads and DMC and surrounded it with a pretty cherry red cording topped off with a gauzy bow. If you compare the photo below to this picture of the one I stitched for myself, you'll notice a difference... I forgot to add the beads on the mistletoe to mine! Well, the berries on mistletoe are supposed to be white, but I wanted mine to be red (just pretend it is holly!) so I added three tiny red beads to this new one and very carefully glued some red beads on to my own, too. I'm happy to say my son and daughter-in-law loved it and the birds have found a happy home out in sunny California. This next piece was a gift for my youngest son who spent half of 2018 living and working in Panama. It is not something I made... I actually found it on Etsy and I was thrilled because this is an authentic mola from Panama and will make the perfect piece of artwork to remind him of his six months there. Some of you may remember my post on molas which are reverse applique made by the indigenous people of Panama. When I was searching for a Christmas ornament that would represent his time in Panama, I stumbled across this piece on Etsy for less than $10.00. It was just a piece of cloth so I decided to frame it so my son could hang it on his wall or prop it up on a bookshelf. Luckily, I found a frame that was almost a perfect size in my box of thrifted frames. I simply painted it with black chalk paint, added a hook, and it was good to go. January 24, 2009--a chilly, wintry day not unlike today. That January had been a hard month for me (as most every January is!). But, the year before, 2008, had been even harder: my best friend moved to Chicago, my sister (and only relative in the area) moved to New York, and my dear, all-black cat of 14 years, Shadow, died. I felt pretty much alone and I think my sons could tell I was feeling down. They were the ones who first suggested starting a stitching blog. I didn't even know what a blog was back then so I began reading a few online and, lo and behold--there were other people out there who shared my passion for cross stitching! 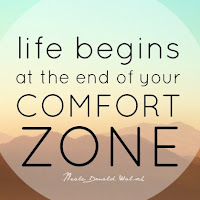 A plan began to take shape in my head and one cold, lonely Saturday when my husband was visiting his parents in Florida, I nervously hit that publish button for the first time. In 2009, I began my blogging journey by stitching an ornament a week. Yes, that was my goal and I'm proud to say, I achieved it. These were not limited to Christmas ornaments, but included any small sized piece, most with a holiday theme. My finishing has come a long, long way over the past decade! I had no idea what I was doing back then, but with time, patience and those wonderful tutorials from Vonna, The Twisted Stitcher and Pinwheel Ponders, I've really improved the look of my ornaments. When I first began blogging, I had no expectations of getting comments or building relationships--I simply wanted to keep track of my weekly ornaments. But, then a funny thing happened--I began to get comments and I was shocked... "What do I do?" "Do I comment back?" I knew nothing about blogging etiquette! The comments kept coming, friendships formed, and gifts were exchanged. I look back at that first year, though, and get a bit sad as so, so many have abandoned their blogs and I truly miss these stitching friends. Of those first year blogging friends, only a handful are still blogging. But, along the way new blogs would appear and disappear along with friendships that came and went. My first posts were very short (I know you current readers can hardly believe that! ), but as the years passed they grew longer and longer (often, a bit too long!). I opened up about my life a bit more and even dared show a photo or two of myself. 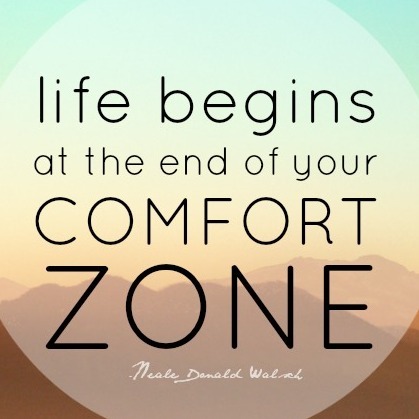 I'm naturally a shy and quiet person so doing so was a bit out of my comfort zone! But, I have always enjoyed writing and blogging opened up that outlet to me once again. Not only has my blog been a perfect way to keep track of finishes, it has been a genuine path to friendship... I will never forget the support I got when we packed up and sold my childhood home in 2012 in this post. Or the outpouring of love in 2014 when my dad passed away in this post. Or that devastating day in 2015 when my husband fell down the stairs and broke his neck in this post. Do you have any idea of just how much your comments comforted me during those difficult times? And then there were the joyful times, as well, when you celebrated with me: my mom's 90th birthday in this post; our 40th wedding anniversary in this post; my 2017 retirement in this post; my oldest son's wedding in this post. And when my blog won the British Craft Awards "Blog Of the Year" in the cross stitch category in this post. What an honor that was--and it was all due to y-o-u! You've even traveled internationally with me on our trips to Germany, Austria, Barcelona, Granada, Seville, Uruguay, Argentina: here and here, Patagonia, Mexico, and Panama: here, here, and here. And I've enjoyed such amazing photos of different parts of the world thanks to your wonderful blogs, too. Blogging opens up the world to all of us in such a unique and personal way! I often get emails from people telling me they are thinking about starting a blog... very few follow through. I'm not sure why. If a somewhat technologically challenged person like myself can put together a blog, anyone can! I think the main reason that people decide against it, is time. Simply put... blogging takes time. You have to come up with an idea, put it into words, find photos, add captions, and edit it. And then there is the commenting on other blogs, emails, answering questions... the list goes on and on! It is not the quick and easy posting of a photo like on Facebook or Instagram. But, the records are so much more complete and the memories are so much more detailed. I love being able to look back on my blog to see what I was doing at a certain month in any given year. I also love being able to tie experiences to what I was stitching at the time. It just makes things more concrete--and more colorful (to me, anyway!). Giveaway time... I've got a few small charts and a book to give away in honor of the 10 year anniversary of Stitching Dreams. I will ship anywhere--just please remember to leave your email address in your comment and tell me the number(s) (in order) of the giveaways you would like to enter. All items are in new or "like new" condition! You must be a follower and you must answer one of the following questions: "What is your favorite thing about blogging or reading blogs." or "What is your favorite post / memory on my blog (or your blog!)." GIVEAWAY #1: Hardcover Book "Christmas Portraits" which includes all the charts for the pictures shown--plus more! The deadline for the giveaways will be February 8th, 2019 so please enter by that date. Only one chart per winner and please remember to include your email if I don't already have it. Thank you--and good luck to all! First of all I wish you a wonderful 10th Anniversary! I loved hearing about how you started! I know that blogging takes time, but I do love the exchanges that take place from one country to another and the connection that happens! My favourite things about blogging or reading blogs is the friendship and connection that is created. My favourite blog posts have plenty of illustrations and not too many words and the latter must be from the heart! My favourite number for the Giveaway is Number 1.
the"Grandma's House" stitching is beautiful and I love blue too! Carol, congratulations on your 10 year blog anniversary! I have truly enjoyed your blog with your adventures, stitching and life tossed in. I love seeing what you are stitching and/or finishing. You inspire and motivate with your sharing. Wishing you many more years of blogging! Congratulations on 10 years, Carol. I've been reading your blog for about half that time. Since no one near me stitches, blogs help me stay in contact with fellow stitchers. I always enjoy seeing what people are stitching. That has added tremendously to my stash. I also love seeing how people finish their stitching. Your finishes are among the best. You always add little touches to make each finish special. My favorite is #5 and then #2. Carol, congratulations on ten years of blogging! Those kissing cardinals are adorable. Congratulations on your 10 year blog anniversary!!! I was a little late to the game but am so glad I stumbled across your blog. You are a true inspiration and provide many wonderful finishing ideas. I know an abundance of time and effort goes into blogging and appreciate that you continue to publish. Your style of writing truly makes us feel like we are sitting down and chatting with a friend. Looking forward to what you share in the future! Congrats on ten years of blogging Carol!! First let me say that your ornaments are stitched and finished beautifully! I am still working on my finishing skills. You inspire me to plug away!! Like you, blogging has introduced me to other stitchers as well as ladies who love their homes like I do! I will pass on the giveaway as I have been organizing my stash and I am going to have to live to be about 120 to get it all stitched. :) Good Luck to those who enter, I am sure they will enjoy the prizes. I love the kissing cardinal ornament. I need to pull out that copy of JCS annual ornaments as I have a friend getting married in March. Wouldn’t that be a cute little gift for their 2019 Christmas tree. I have neglected my blog. You’ve inspired me to try to be more regular with blog posts.....even if they are somewhat short. Wish I had more followers. Maybe if I posted regularly that would help increase followers. You have done a great job on finishing the LHN ornaments. I love the blue wool! My favorite thing about reading blogs? I like to see the finishing work of other stitchers. I have a *pile* of unfinished pieces that I really need to tackle! I like giveaway #2. Thanks for sharing your stash. Congratulations Carol! As I have told you many times before, YOU and your blog were my motivation to begin my blog! Thank you! I am so glad to call you my friend. Love your new series of ornaments you are creating. Well done Carol for all those wonderful years of blogging. I do hope you keep going for many more years as your blog is always a pleasure to visit. Congratulations dear Carol on 10 years of blogging. So many lovely things I have learnt about the places you visit and many other things since I became a followers of yours. What a fantastic post to read (as all your posts are). Happy 10th anniversary and I'm so thankful you decided to hit publish that first time. I love coming to your blog. Not only seeing your beautiful finishes but just listening to your sweet words. They inspire. You inspire. I always feel positive after reading your words. Thanks! I started blogging in 2005 then again in 2007 on my current blog. Being a stay at home mom I wanted a connection with the outside world. I agree with you so much. The people I have met along the way is just amazing. I've met several in real life and made real friendships that will last forever. I agree with every word. I honestly see a new rising in blogs. I have several new readers and see them falling in love with blogging like we have so long ago. Please enter my name in for 2 and 3. My email is connected to my comment. Good luck everyone in the drawings. How sweet of you to offer so many wonderful choices. Thank you also for helping me start my blog , I use to follow your blog all the time and found it hard to leave a comment but I did in the end , and here we are . I always love to see how you finish and colour match your materials you always do an amazing job . I will miss on the giveaway , would you just know I have all these charts naughty me. Hope you had a lovely Birthday , and hope you stay around for ever and ever big hugs. Happy 10th Blogaversary, Carol! I'm so happy that you continue to blog. It may have been your blog that I saw that I realized that not everything has to be framed. I became a follower right away! That kissing Cardinal finish is just adorable and I'll have to go look through that issue for it. Thanks for the help you gave me when I said I couldn't do the handmade cording; still can't but it's just me! Haha. Maybe 2019 will be the year of cord making. Please put me in your giveaway for #3 and #4. Love LizzieKate as always but it might be time to do those PS Santa's as they are really growing on me! 'What do I like about blogging or reading blogs?' As you know, I have a blog which just celebrated it's eighth year last month. Eight years ago or so, I went online to find some kind of tutorial on how to do French knots and found a blog that was called An Ex Pat living in Australia or something like that. I clicked on it and holy cow, I found my people! Anyway, saw her sidebar with other bloggers and my blogging was born. I like blogging because I like talking about stitching! My friends and relatives are not crafty at all and certainly don't stitch! It's been nice meeting other bloggers who are stitchers and I consider many of you friends although we have not met. It was fun to read how your blog came to be and I hope you never stop. I love to read about your family, your travels, and most of all, your fantastic stitching and finishing. Take care, Carol! May you keep stitching and blogging for many years! ps. I'd love to participate but the shipping costs would be too expensive, so I'll wish all your readers good luck. Congratulations on your anniversary, Carol! 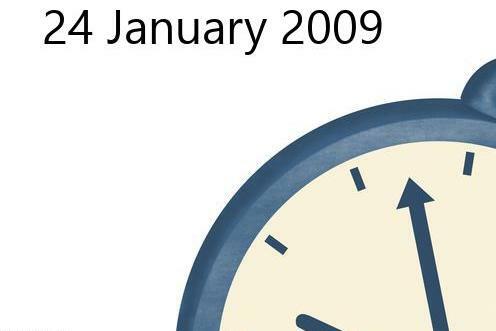 We are all so lucky that you hit that publish button 10 years ago today. Although I have read many quilting blogs over the years I had no idea that there were cross stitchers who blogged, too. I am so glad that I have found you and am enjoying binge reading your blogs from the past 10 years. Thank you so much for all that you share and know that not only do your present readers enjoy your blog but there are many out there still waiting to discover it. I have a huge line-up of Prairie Schooler charts waiting to be stitched and I also happen to have lots of pieces of woolie flannels left over from quilts so I am looking forward to trying to finish some of them in your style. I cannot thank you enough for helping to get me excited about my stitching again and I hope this year brings you nothing but good things, my friend. Happy 10th Blogaversary Carol. I absolutely love your blog. I don't remember how I found it (probably from another blog). I started reading it in 2009 with your ornament a week. I still go back a couple times a year and read that whole year. Your finishes are amazing as is your stitching. I love reading about your journeys. Its just a fun blog to read. I would love to be entered for giveaway #1. All your posts on my favorites but I really enjoy the ornament a week posts. Hi Carol - ten years of blogging is truly a wonderful and amazing accomplishment, and your readers are really the lucky ones that we get to know you and see your beautiful stitching work and amazing creativity, and that you share your beautiful life and adventures with us. A huge “thank you” to you doesn’t seem like nearly enough to say to you. I think it would be safe enough to say that we all really love you! Joy and happiness to you and Thank You! Dear Carol, Congratulations! I've been reading your blog for 5 years. That's when I started blogging myself. My memories at the beginning are the same as yours. I pray you that the needle will stitch you well, health, the joy of your sons! Happy Blogaversary! 10 years is a wonderful celebration, I have been blogging 8 years this April and agree with everything you've said about the process. Of course I remember the nomination for the Craft Awards - it is how we met. I was the runner-up that year. It was an honour to be pipped by such a fantastic blog and receive the prize of a new blogging friend. I'd have to choose the Just Nan chart, of course, I am obsessed with her work. Congratulations Carol! I love your blog! Uzun zamandır bloğunuzu takip ediyor ve yaptıklarınızı çok beğeniyorum. Son yazınız çok güzel. Kendi bloğumda sosyal sorumluluk projelerimi paylaştığım yazılarımı da seviyorum. Türkçe yazıyorum, çünkü İngilizcem çok iyi değil. Sizden gelecek küçük de olsa bir hediye. Beni çok mutlu edecek. Her ne olursa, önemli değil. I would love #5 please. I love your blog and love to see all the fun things you do. I get inspired to do more. Thanks so much. I love seeing the new patterns and like to get free ones occasionally. I just have found your blog and been watching it but have now become a follower. Our mutual love of cross stitch is why I usually seek out and read a blog! Carol, I am so glad you blog. As I read the bloggers that have left I was reminded of the Proverb that says something about friends come and friends go. I think people come into our lives even for seasons to share something we needed or they needed to know. I do find it sad so many have left blogging though because the other mediums just don't showcase the work and the record quite the same way. I have learned so much from bloggers along the way. When I retired and got back into stitching I asked questions and stitchers freely shared. I am truly grateful for their inspiration. I love reading about life too although mostly what we add is the happy stuff and we all know life gives us more than that. I think it is okay for bloggers to take breaks, but I love it when they pop in sporadically and give us just a glimpse. There is absolutely no way I am going to be able to pick a favorite post. There are too many. I have literally scoured past posts to see all your stitching and learn more. Here's to another ten! Yikes, I don't even know if I can make it to ten period, but thanks for letting us visit each month. Congratulations Carol! I consider myself a fairly new follower and love/appreciate your blog. I love Vonna! Her sparkly fun personality and her helpfulness through her tutorials. I haven't heard of the other site yet but I'll be visiting. I signed up for Instagram and before I could read about protecting your account I was hacked, I mean immediately...so I cancelled it all and not more IG for me. I love reading blogs of those that have similar tastes as I do. First it's just informational but then over time you develop a type of "pen-pal-ish" friendship. I also have the same feeling with Flosstube-love it. I don't do either but appreciate those who do. I did read about your husband's accident, your son's raccoon bite, the tick-yuck and how blessed all of you are. I was sad about the cardinals-I didn't know they had such beautiful shells. I love songbirds and can't wait until hummingbirds come back. It's frigid cold today so I put out extra safflower seeds. Then I love old houses and thought I would look at the blog where you sold your childhood home. All I got to see was the attic but what a delightful read-I'm going to say that was my favorite. I went to a barn estate sale once and it was so sad. Someone asked where the owner was and his daughter said he couldn't bare to be there so he went off somewhere. The tears that must have been shed. Now there's an ugly subdivision where all the homes look alike. I miss the old farmhouse and barn. It had character. I would love to stitch some things from # 1 if I should win it. I'm going to go visit that other site now. Take care. Congratulations Carol on your 10 years!! As you said very few seem to have lasted that long. I only found you in 2015 not long before your husbands horrific accident, (so glad he was ok in the end). I don't follow a lot of blogs but I find them inspirational, not just from their cross stitch but also through the bits of their lives they share. Your recent visit to your son in Panama was really interesting.That Hike!! Happy 10th anniversary. I found your site recently and am "floored" with your talent! You are amazing in your work but in particular you ability to adapt a chart and it always looks better than the original! Also your finishing is stunning. I like to read blogs for inspiration and to admire the creativity of so many women out there. Also it is so nice to see women who work, have families and have so many things pulling at their time and yet the find time to have their creative juices flow and to share it with others. I love the PS Santa chart. Thank you! Hope you never stop blogging! Congratulations on your 10th anniversary of blogging. My 10th anniversary of blogging is in slightly less than 2 weeks! Great minds think alike! I am not entering the give-aways this time. We are moving in the next month or so and I don't want to risk anything getting lost in the US Mail. But all of your offerings are delightful and of course, I am always inspired by your stitching! Happy 10th blogging anniversary! What an achievement. I know what you mean about forming friendships through blogging. I feel the same way. It's much more personal than Instagram or Facebook. That's what I love about blogging - the friendships. You must have stitched so many beautiful things over those 10 years. 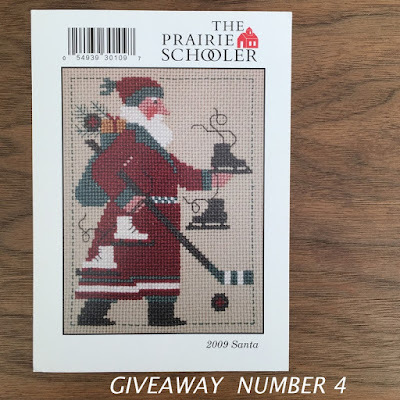 I would love to win the Praire Sampler Santa Claus please - number 4. I've never done one of those patterns, but have seen plenty finished online. Happy anniversary and congratulations on having one of the most loved stitching blogs. It's not just the stitching, we feel as if we are conversing with you. And then there's the inspiration for finishing methods we've not seen before. A truly enjoyable read on many levels! Please don't enter me but to answer your question, I read/blog because I am not very social but feel connected with online friends. I take an interest in not only our shared needle love, but the person behind it. I would certainly miss, as you do, those that may leave or already have. I can't choose a favorite post, there are too many! Congratulations Carol on your anniversary! It's quite a legacy you're leaving, and I don't mean just your words. I started reading/found stitching blogs because of the eye candy but it's the stories, the personal bits, that are the hooks for the return trips! It's not an exaggeration to say that I've travelled with you and your family. And I'd be remiss if I don't tell you how beautiful your stitching is and inspiring your finishes are. Please enter me for 1 and 5. I look forward to the next and next and next visit! Ooops! I can't follow directions! My email is fofourg@yahoo.com. Thanks! Carol congratulazioni per i 10 anni di blog! Sei sempre di ispirazione sia per i meravigliosi ricami sia per le rifiniture, ti auguro altri 10 anni così! Herzlichen Glückwunsch zum 10. Bloggeburtstag. Ich freue mich regelmäßig deine Posts zu lesen und dabei eine schöne Tasse Kaffee zu trinken. Dein Blog bzw. deine Arbeiten haben mich inspieriert kleine Ornamente und Deko-Kissen zu nähen. Ich hoffe du wirst noch viele Jahre weiter bloggen. Deine fertigen Stickereien in diesem Post sind wieder einmal wunderschön. Ich liebe sie alle. I like to stay for a wile on your blog to read and look your great ornament! I've so much enjoyed all of your posts and beautiful projects. And you ARE a finishing inspiration, your finishes are always so beautiful. I've enjoyed all of your travel posts also, and your gorgeous Christmas tree & banner posts every year. I for one, will keep reading your blog, so please keep it going. Looking forward to your posts in 2019! Tout d'abord un Joyeux anniversaire à votre blog ! Pourquoi j'aime venir vous lire ? Parce que l'on découvre à chaque fois de merveilleuses finitions. On voyage aussi, et ça fait un bien fou. Merci de votre générosité, tous ces cadeaux que vous offrez.... C'est merveilleux.. Je n'ai pas de préférence, je crois que secrètement on les voudrait tous.. ! Happy Blogoversary! I love reading your blog, your finishes are always so beautiful that they inspire me. In fact that has to be my favourite thing about blogging - the inspiration you find in other's work. Oh I love your ornaments from Hometown Holliday, the pretty grandma home - I've already embroidered a few motifs from the series, but made them into a little quilt. What I like about blogging? I like to talk about my hobbies, like to share pictures, if I have seen something special, would like to make others happy with my work, or to inspire them to imitate. And as you say - I have found dear friends that I do not want to miss anymore. Which post I like best I can not say exactly, I read your posts very happy and always look into the older pure - so for example, when you were in Munich. Maybe your post today is the most beautiful because it made me think, remembering how I started - in fall 2012. I would like to take part in your raffle and would be happy about # 1 or # 4. What remains to be said - I look forward to many more beautiful post from you with all the beautiful ornaments. pictorials and decided I wanted a tree like that, hahaha, that will never happen with me but I can dream. Thank you for taking us with you on your many adventures. You are an inspiration to many with your stitching and finishing,plus your giving kindness. Love seeing where all your gifts have gone over the years. You are a very talented lady. Here's to many more years of blogging and cloud friendship. The farmhouse ornaments on black are stunning! Happy 10 year blogaversary! I’d love any of the five. My favorite thing about reading your blog and others is the connection to the stitching community. Thanks for sharing your stitching and have a great weekend! Thank you for taking the time to blog.. I look forward to reading your posts. I would love your 1st give away, the hardback book of Santas. Thank you so much for your posts, Carol.... I found your blog when I was looking for finishing ideas long ago and have read through almost all of your posts now! Your great photos and friendly "voice" really make your blog special... I've finished many of my own smalls in the meantime and just want to thank you for championing the notion that there is real joy in EACH project, large or small (and changing colors and details can be fun too!). Some of the bloggers I have followed have given up in the last year or two, so I wanted to say, please carry on. Thanks for sharing your love of stitching, travel, family and baking... Thank you and happy anniversary! I; for one am glad that you took the plunge and hit publish all those many years ago. I truly enjoy seeing all your beautiful stitched pieces and how you finish them. I would love to be entered for the Sue Hillis giveaway #5! Happy Blogoversary Carol. It is always a great pleasure to visit your blog and see all the wonderful stitching which give inspiration to all of us. Also that you share your travelling adventures with us. So please: KEEP ON BLOGGING! Congratulations on ten years of blogging, Carol!! Your blue ornament turned out very beatiful!! it's been a swell 10 yrs carol. you've graciously shared and made wonderful memories with all of us, ty! I loved the story of how your blog got started. I’m sure your son is thrilled that he helped his mom start her blogging journey. It reminds me of how my son helped me 20 years ago. I had a series of very bad things happen to me in a short period of time and totally crashed. Went into this horrible depression anxiety that just about killed me. I was working in a medical clinic as a nurse at the time and had five drs who were all very supportive and a clinic manager who was an angel. I was home being very miserable for a month. My son called every day encouraged no me to go back to work. My demons told me I’d never make it at work but he kept insisting I try so I did. And every night he called to see how I did and encouraged me to try just one more day. I was so scared. My manager hired a float nurse to just hang around for two weeks in case I felt I had to leave. But I stuck it out for 10 months before the dr found a medicine that would work for me. The depression and anxiety left and never came back. Thank the lord. What a wonderful roundup! Congratulations on 10 years of blogging. Your finishes now look so neat and lovely. I very much enjoyed reading your post. Congratulations Carol and giving inspiration to so many stitchers over the past 10 years. I found your blog about seven years ago when I was going through a very difficult and sad part of my life. I had not done any small pieces of cross stitch and felt overwhelmed at commencing or finishing my large projects. Because of you I picked up my hobby once again albeit on a much smaller scale. Thank you for giving me back my love of hand stitching. I do not want to enter the give-away (Australia is far too expensive for you to consider posting anything to me!). Please continue your blog. I love seeing your projects, their finishes and learning a little about your life. Congratulations Carol on your 10 year blog anniversary. What a wonderful achievement! I only found your blog about 18 months ago (by following you on Instagram), but one day when I have the time I’m going to start at the beginning and read all of your blog posts. I’ve just read your post about the passing of your father. What an amazing man he was. I really enjoy your annual Parade of Ornaments. You always do such beautiful stitching and your finishing is always so stunning. I would love to be entered in your giveaway and would be happy to win chart number 2, 3 or 4. Thank you so much for the opportunity. Have a wonderful day, Sheryl. Happy 10th Anniversary. Who knew back then you would have so many stories to tell and to give so much inspiration to others. I look forward to every post you write, often having to get a cup of coffee as I know I will be reading for a while and enjoying the photos. Talking of photos, thank you for taking us along with you on your trips. I will never be able to go on those journeys, so I am truly thankful. ere is hoping for another 10 years of your words of wisdom. It was so lovely to read your blog post this morning. Congratulations on your ten year anniversary. I'm one of those folk who have been absent over the last 10 months from blogging. I often thought about how I was neglecting my blogging, however it has been an horrendous 14 months. We learnt our son was seriously ill, early in December 2017. We sold our home in NZ and returned home to Australia to support, love and be near him. We lost him to stage 4 Melanoma early in September last year. Silly me, as a Mother I believed he would recover. 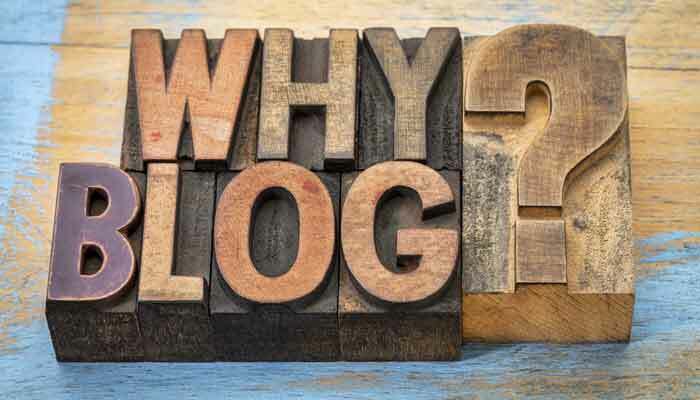 It has taken me until this morning, to even think about blogging and it was so comforting to read your post, reminding me how I had missed so much in blogging. You have inspired me and I would love a chance to win the snow faces chart #2. email is, kay at kaysan dot com dot au remove spaces & adjust words to symbols. Happy anniversary, Carol! I'm so glad you hit that "publish" button, too. I have learned so much from you, and you continue to inspire me with each and every post. I would love to enter your giveaway number 4. My favorite thing about blogging is that it pushes me to be better (or to try to get better) at this craft. And by reading others' blogs, I learn new skills and finishing techniques, and when I'm frustrated, I learn that other people make mistakes, too. Thank you for your generous giveaways! Ten years of blogging, that is quite impressive! I thought your ornament a month was cool, but doing one a week is something else. I've been blogging for a little over five years now - totally forgot to celebrate the date too - and although it's going slower at some times, I wouldn't want to miss it. Sharing and communicating with people all over the world, and also making lasting memories of everything that happened in the time, that's a very special thing. I'm much better about blogging than any other social media I tried, too! 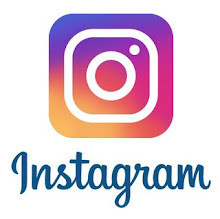 Facebook and Instagram are nice to share a quick picture, but they also seem so fleeting. I'd love to enter your giveaway #2, that one is so cute! Happy 10th blogging anniversary Carol! I am so glad I found your blog, I think for the ornament parade in 2014. You do such a great job of sharing your stitching and your life, and I really enjoy reading each of your posts. Can’t wait to see where you go next and wish much happiness in the next 10 years of blogging! 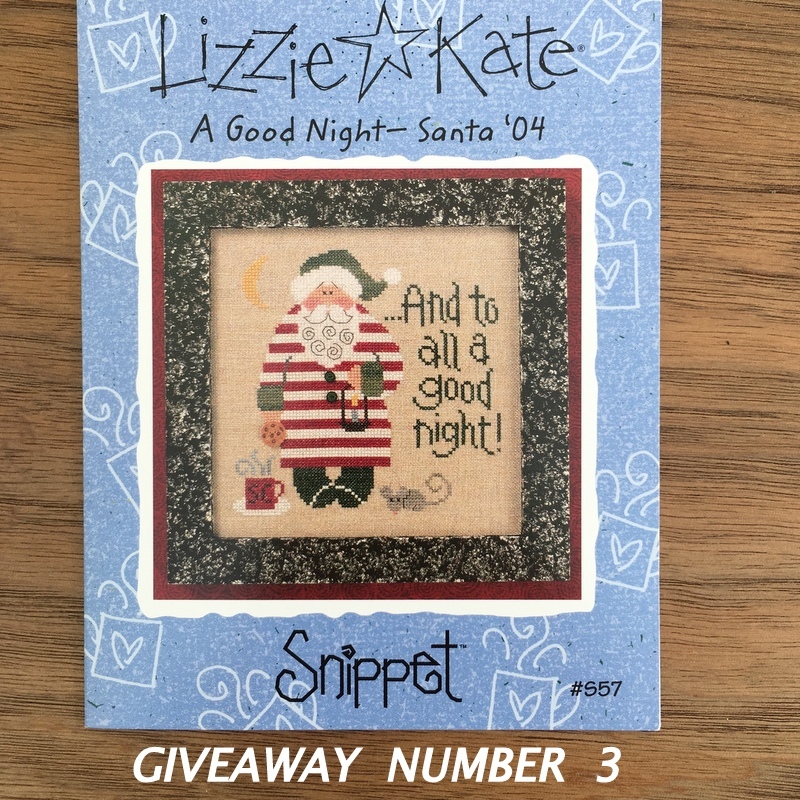 I am a Lizzie Kate fan, so I’d love to be in the drawing for that one! Hope you are staying warm and safe in this crazy frigid weather! It is 8 here and dropping overnight about 20 degrees...will make for a few cold days, but they say it will be 50 by the weekend! What a joy it's been to read your blog. I'm always glad to see a new post and hope that you will find the time to continue. Blogging is so much more complex than when I had Neat & Tidy. Rarely do I find a blog like yours where I'm not subjected to endless ads. I love your projects and finishes; you really have inspired me. Thank you for continuing! Happy Blogging Anniversary! You've been a great inspiration to me. I love all the Little House Needleworks ornaments . . . Grandma's House is so sweet! What draws me to read blogs is the stories that are shared, the pictures of places I'll never see in person, and the inspiration of those who enjoy similar interests. Patriotic Snowman #5 is my favorite of the charts. My youngest grandson loves everything patriot. Wishing you another 10 years of blogging! Congratulations on 10 years of blogging. I enjoy reading about your travels and seeing your stitching. To date your most memorable rather than necessarily favourite post for me has to be the description of your 'Hike from hell' in Panama last year. After that, I imagine you could cope with any travel adventure! I would like to be considered for Giveaway No.3. Here's to another 10 years and many more of blogging. I'm so glad I followed you from Instagram to your blog! Congrats on 10 years of blogging! The ornaments from Hometown Holiday are absolutely stunning on the black. You are such an inspiration, Carol. Now I must definitely take time to go back and read your blog from the beginning! Carol: What a wonderful post, Congratulations on a ten year Anniversary, time seems to fly by, its nice having a tool to look back at what a person has done over the years. Your gifts are lovely, you do such wonderful finishing work. Your Little House series are done so beautifully. I hope to see more of your work in the next ten years. You are so right about some Bloggers not blogging any longer, I miss many of the ones who used to have a Blog site. More grandmother houses need blue! Although I suspect my grandma (a redhead) was rather fond of pinks, something I've definitely not inherited. The fuzzy flannel really looks great with the black fabric. And great score on the mola! How neat to find one on Etsy and have a frame for it already. I think the cute cardinals are my favorite here though. Such cheery little birds. and once again you've worked all magical new Christmas ornaments, sooooooooooo beautiful! Without our blogs, the two of us would never have met, thank you very much. My favourite number for the Giveaway is Number 4. Wonderful post Carol, Congratulations on your 10 years of blogging. I love the Grandma´s house design and the way you have finished the ornament. and the four designs stitched on black. I always enjoy reading your blog and seeing your latest work and when I have a stitching slump, just a look at others blogs and projects, put me back on the rails again. Hope you will still be blogging for the next ten years. Thank you for your generous giveaway, My favourite is number three. Oh Carol, you are the queen of cross stitch !! Happy 10 year blog anniversary. What you did with the LHN patterns on the dark fabric, it is amazing !!! You don't have to included me in the give away. Happy 10th Anniversary!! Thank you, from my heart, for the ten years of reading pleasure and journeying with you as you continued to wow me with your stitching and finishing. I can remember one day at lunch at work, not long after I had found your blog, and I couldn't quit talking about it. 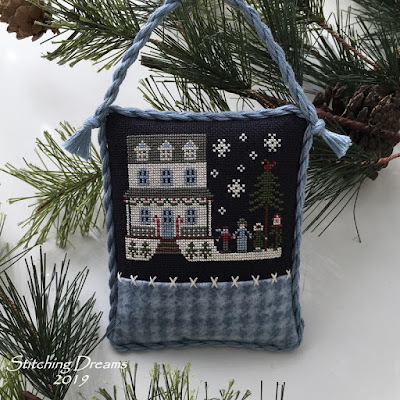 I kept telling my friends that 'you have to see this blog', 'she is stitching an ornament a week', 'you have to see Carol's tree' and so many comments like this. The thanks is to you Carol for the unbelievable joy you have brought to so many. I am full of admiration for you on so many levels! It takes an extraordinary amount of time to put together the beautiful posts that you do and to respond to all the comments that you receive and I don't know if non-bloggers like me tell you what a thrill it is to receive a response to a post. It makes me feel special and that I am a person to you and not a number, not a designer, not a famous blogger but a person who loves your blog and shares your passion for stitching- thank you! It is very difficult to choose my favourite memory from your blog as there are so many both from your stitching as well as from family events and trips/vacations you have shared. I think the greatest ongoing inspiration for me has been your passion for ornaments and your commitment to one a week then one a month each year since, not only stitching the ornament, but finishing it as well. The other blessing from your blog has been just looking when I need a happy place to go for inspiration. Happy 10th Blogging Anniversary my friend! Thank you for the gift of you and your blog. Loved reading about the history of your blog....Like others, it has been an inspiration to me...I was introduced to Vonna on your blog! Your stitching is always amazing! I just made a request for patterns (designers) and stated it was on thefeb, header, sorry, it was on January with the hearts etc. I love all of the items! I enjoy blogs about finished projects-food recipes-family!!! Ces coussinets maison sont sublimes! J'adore!! Happy Belated Blogversary... and Birthday! I don't blog as much as I used to, but I still enjoy it when I have time to do so. I do enjoy seeing blogs from all over and have made some wonderful 'friends'.